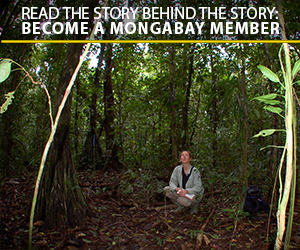 Forests have been at the core of Mongabay’s coverage since our founding 20 years ago. So for the International Day of Forests 2019, below are the top 5 most read stories about forests published so far this year at our site, in no particular order. You can also read all of our stories about forests here, and sign up for email alerts to receive notice whenever we publish new stories about forests here. 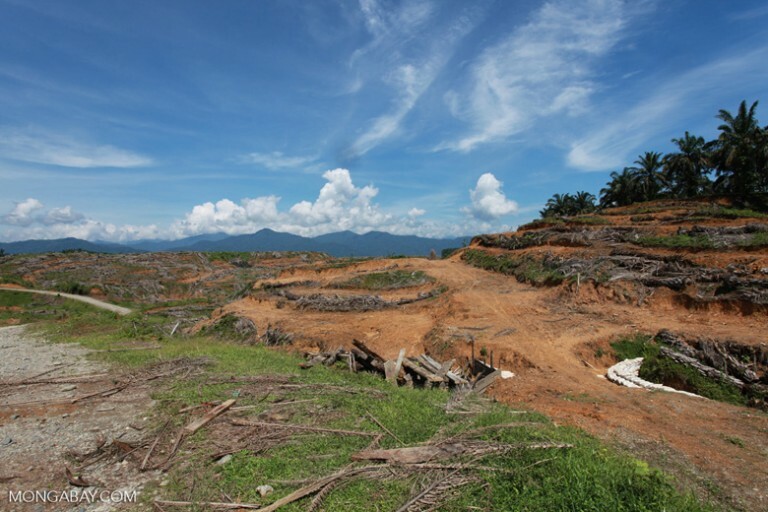 Police in Indonesia have charged the brother of a provincial deputy governor with clearing a protected forest to make way for an oil palm plantation. Musa Idishah was questioned by investigators, but released pending the investigation. His brother, North Sumatra Deputy Governor Musa Rajekshah, previously ran the company at the center of the investigation, and has also been linked to another corruption scandal. Oil palm plantations are a major driver of deforestation on the Indonesian island of Sumatra, where they are often carved out of ostensibly protected forests. Read the full story here. “Central African Forests Forever,” first published in 2017, takes readers to the heart of the continent, introducing them to the people and wildlife of this region. Its author, independent communications consultant Meindert Brouwer, says the book also functions as a tool for sharing information about efforts to address poverty and environmental issues in the region. Mongabay spoke with Brouwer to learn more about his motivations and the reception of his work in Central Africa. Read the conversation here. 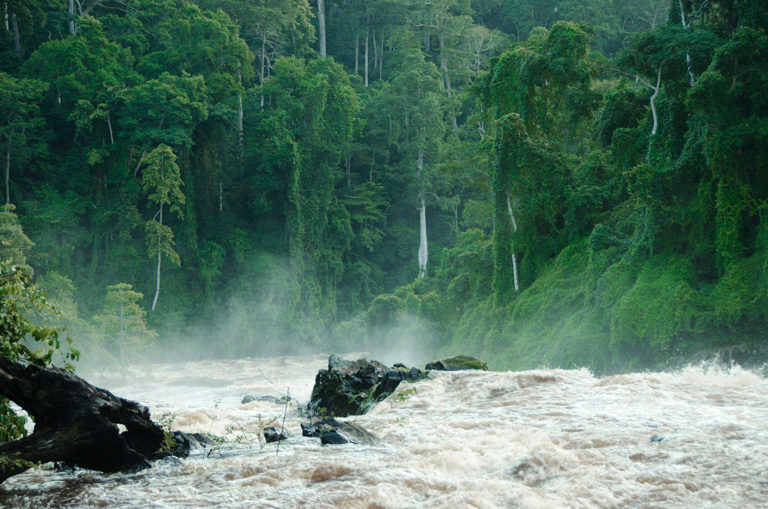 Nki Falls, Nki National Park, Cameroon. Image © Jaap van der Waarde/WWF. A study by Indonesian and Australian researchers warns of a drastic reduction in forest habitat accessible to wildlife in Indonesian Borneo if a spate of road projects is completed as planned. Wildlife would be able to access just 55 percent of the remaining forests in the region under this scenario, from 89 percent today, the researchers write. The road-building spree is part of an economic development program that proponents say is desperately needed to improve livelihoods and welfare across Indonesian Borneo. While conservationists agree that infrastructure access is essential, they have called for greater oversight to mitigate or minimize impacts to forests and wildlife corridors. Read the full report here. 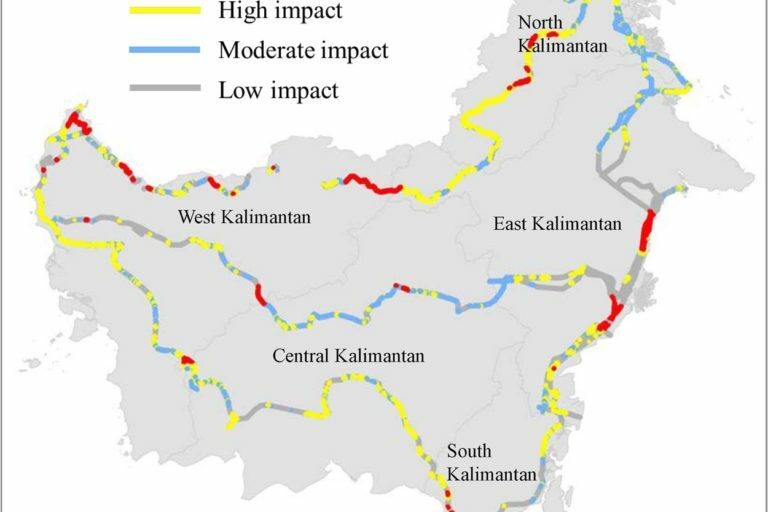 Planned road projects by the Indonesian government in Kalimantan are expected to have different degrees of impact on the forests in the region. Image courtesy of James Cook University. 2018 wasn’t a great year for tropical rainforests, with major conservation setbacks in Brazil, Democratic Republic of Congo, Madagascar, and the United States coming on top of back-to-back years of high forest cover loss. Brazil’s Bolsanaro, Democratic Republic of Congo election outcome, global economic health, Indonesia’s election, biofuel mandates, California forest carbon decision, forest monitoring technology, U.S. politics, and political momentum for biodiversity. Read about the 10 main storylines we’re watching in the world of rainforests in 2019 here. Read all of our stories about forests here, and sign up for email alerts to receive notice whenever we publish new stories about forests (or any topic of your interest) here. 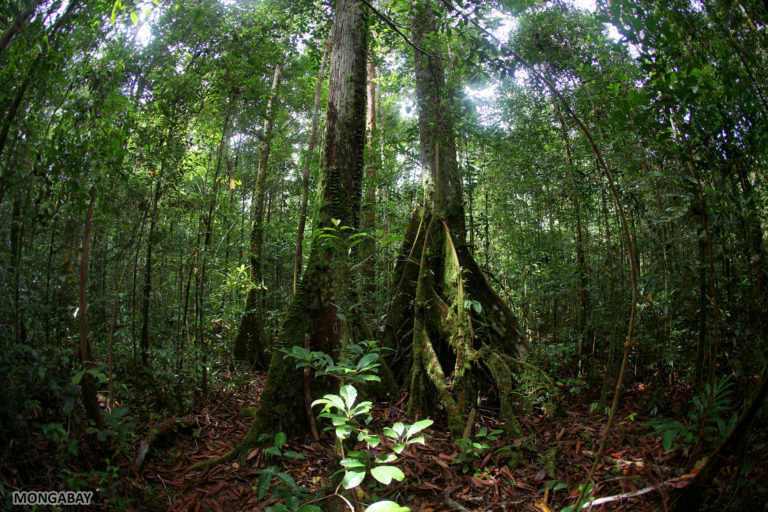 Banner image of rainforest in Malaysian Borneo by Rhett A. Butler for Mongabay.